Found her on the 1940 Rampo, Rockland, New York census (dist 44-40 img 18) as Margurite Thiers age 41. Found her on the 1850 (not stated) Burke, North Carolina census (img 102) as Hannah Avery age 22. Found her on the 1860 Lincolnton, Lincoln, North Carolina census (img 11) as Hannah E. Finger age 33. Found her on the 1880 Williamston, Anderson, South Carolina census (dist 29 img 12) as Hannah Finger age 53. Found her on the 1880 Fulton, Davie, North Carolina census as Mary Barneycastle age 1. Found her on the 1900 Shady Grove, Davie, North Carolina census (dist 73 img 15) as Mary M. Barneycastle age 20, single, living at home. Cook. Found her on the 1910 Marks Creek, Richmond, North Carolina census (dist 103 img 28) as Mathew Finger age 28. Has given birth to 1 child, 0 are living. Found her on the 1920 Hamlet, Richmond, North Carolina census (dist 122 img 50) as Mathew Finger age 40. Family 1 : John E. CUMMINGS Jr.
Found her on the 1920 Jacobs Fork, Catawba, North Carolina census (dist 40 img 12) as Lois Clay age 6. Found him on the 1930 Hamden, New Haven, Connecticut census (dist 139 img 6), age 9. Found her on the 1930 East Hartford, Hartford, Connecticut census (img 11), age hard to read but under 1 year. Mr. and Mrs. Clyde Fingar of Red Hook announce the engagement of their daughter, June Ann, to Airman Arthur Ray Locke III, son of Mr. and Mrs. Arthur Locke Jr. of Rhinecliff. Miss Fingar is a 1975 graduate of Red Hook Central School and is employed at Vicki's Fashion Shop in Rhinebeck. Found her on the 1860 (not stated), Warren, Tennessee census (img 27) as Am E. Finger age 7. Found her on the 1870 Warren, Tennessee census (dist 9 img 15) as Amaliza Finger age 17. Found her on the 1920 Civil District 3, Blount, Tennessee census as Emma Finger age 5. Found her on the 1930 Detroit, Wayne, Michigan census (dist 300 img 32) as Margaret Finger age 5. Found her on the 1900 Civil District 6, Blount, Tennessee census (dist 18 img 13) as Josie Finger age 13. Found her on the 1920 Civil District 6, Blount, Tennessee census (dist 20 img 18) as Josie Willocks age 34. She and her husband are living next to her sister and her husband, Della and Frank Gideon. Found her on the 1860 Marion, Lawrence, Indiana census (img 1) as Maria Finger age 2. In her father's Civil War Pension Record, her name is crossed off and replaced with 'Sophia M.' in documents dated up to 1889, then just 'Sophia M.' in documents after 1891. Found him on the 1900 Newton, Catawba, North Carolina census (dist 46 img 12) as Austin F. Klutz age 8. Found him on the 1910 Newton, Catawba, North Carolina census (dist 30 img 8) as Flint A. Klutz age 18. Found him on the 1920 Newton, Catawba, North Carolina census (dist 44 img 15) as Flint Klutz age 27, single, living at home. Found him on the 1920 Brooklyn, Kings, New York census (img 22) age 38, President, Brass Works. Found him on the 1930 Queens, Queens, New York census (img 7) age 49 President, Switzerland Bronze. A Walter J. Landolt is listed in the Florida Death Index as died Feb 1957 in Dade County. It is possible that he was living in Florida since a sympathy card sent to Louise Baur Finger in 1950 suggests that she might like to go to Florida, and that Walter is alone now and would be happy for her to come. Found her on the 1930 Lincolnton, Lincoln, North Carolina census (dist 12 img 17) as Pearl Lanier age 2. Found her on the 1930 High Point, Guilford, North Carolina census (dist 59 img 41) age 13. She signed her mother's death certificate in 1955 as Miss Geraldine Meekins. He was known as Fred when his mother moved to Syracuse in 1885. Read an interesting account of his mother's marriages Bigamy and Elopement. Found him on the 1880 Mohawk, Montgomery, New York census (dist 56 image 13) as John Sherman age 1. Found him on the 1900 Amsterdam Ward 1, Montgomery, New York census (dist 71 img 5) as John Sherman age 21. He is listed as married for 10 months, but no wife is shown. He is living in the household of his father Nicholas Sherman age 42 and his step mother Carrie Sherman age 32. Found him on the 1910 Amsterdam, Montgomery, New York census (dist 49 img 7) as John Sherman age 30, truckman, on street. Address: 13 Cedar Street. We notice he is listed here as "MU", which means Mulatto, one black parent and one white. He is living just 2 doors away from his father Nicholas Sherman age 52. Found her on the 1900 Grover, Marinette, Wisconsin census (dist 131 img 7) as Tressa Votava age 2. 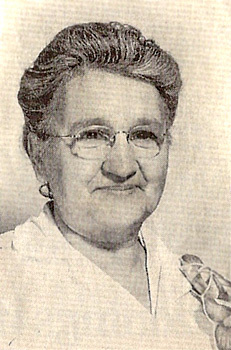 Found her on the 1920 Newton, Catawba, North Carolina census (dist 44 img 17) as Dora Bumgardner age 28. Family 1 : Reuben FINGER Jr.
Found her on the 1870 Saugerties, Ulster, New York census as Maggie Whitney age 7. Found her on the 1880 Saugerties, Ulster, New York census (dist 29 img 153) as Maggie Whitney age 16. Found her on the 1900 Germantown, Columbia, New York census (dist 13 img 31) as Margaret Fingar, age 37. Found her on the 1910 Germantown, Columbia, New York census (district 12 img 42) age 46. Has given birth to 3 children, 2 are living. Found her on the 1920 Germantown, Columbia, New York census (dist 18 img 17) as Maragrette Fingar age 56. Found her on the 1920 Loudon, Loudon, Tennessee census (dist 144 img 4) as Isabella Thompson age 23. Found her on the 1930 District 96, Knox, Tennessee census (dist 17 img 20) as Isabella Thompson age 33.